Zena Stephens is the newly elected Sheriff of Jefferson County. Her law enforcement career began at the Beaumont Police Department where she started “on the streets” of Beaumont in 1989. In 1996 She left Beaumont Police department and went to work for the Jefferson County Sheriff’s Office where she spent 11 of 17 years as the Deputy Chief, before leaving to accept a position as the Chief of Police at Prairie View A & M University. Zena is a dynamic leader who is passionate about changing the face of law enforcement by building relationships in the community. She has 27 years of experience including extensive experience in managing law enforcement agencies. She has verifiable success in providing leadership in the daily operations of patrol, criminal investigations, warrants, courthouse security, and crime scenes. Zena has established a professional culture in her agencies by leading her employees by example and encouraging them to get training so they continue to improve. As a manager, she has developed and implemented policies and procedures to ensure good order and discipline within her agency. She responded during several high-profile emergencies including hurricanes and the tragic Jefferson County Court House shooting in 2012. Zena has interviewed both suspects and witnesses related to serious crimes involving shootings, homicides, and sexual assaults. Zena earned a Bachelor of Science degree in Political Science from Lamar University and has a Master Peace Officer’s license. Zena has also had training in professional standards and ethics, interviewing and interrogation; and she is also a hostage negotiator and a law enforcement instructor. Zena has earned many community awards in Jefferson County and has been recognized across the country for her law enforcement accomplishments. In 2006, Zena received the "Remarkable Women" award from Theodore John's Library, in 2008 the Pioneering Women recognized her with the "Changing the World One Cause at A Time " award and in 2011 the Beaumont Branch of the National Association of University Women gave her a "Women of the Year Award". Zena was named the first female Chief at Prairie View A & M University. 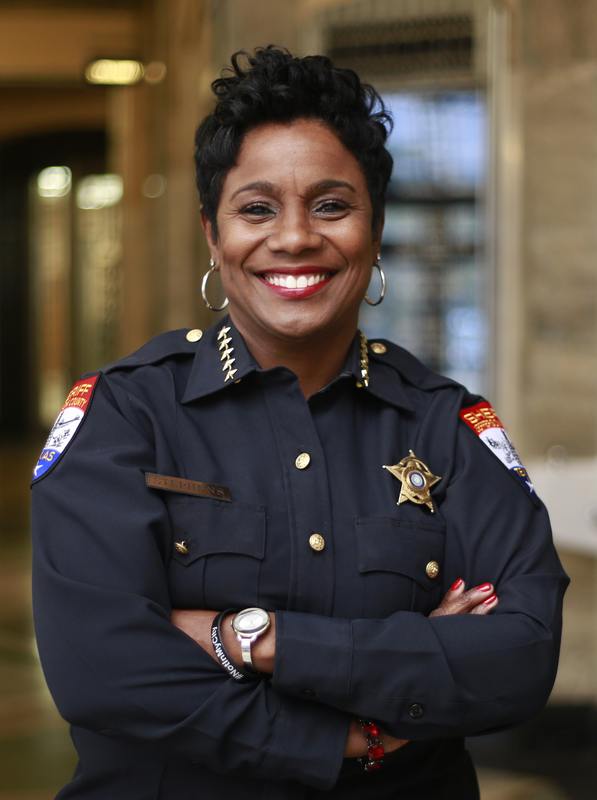 She was also Jefferson County’s first female Major and Deputy Chief and now its first black and first female Sheriff in Jefferson County and the First black female to become a Sheriff in Texas. Zena is one of only two black female Sheriff’s in the country.